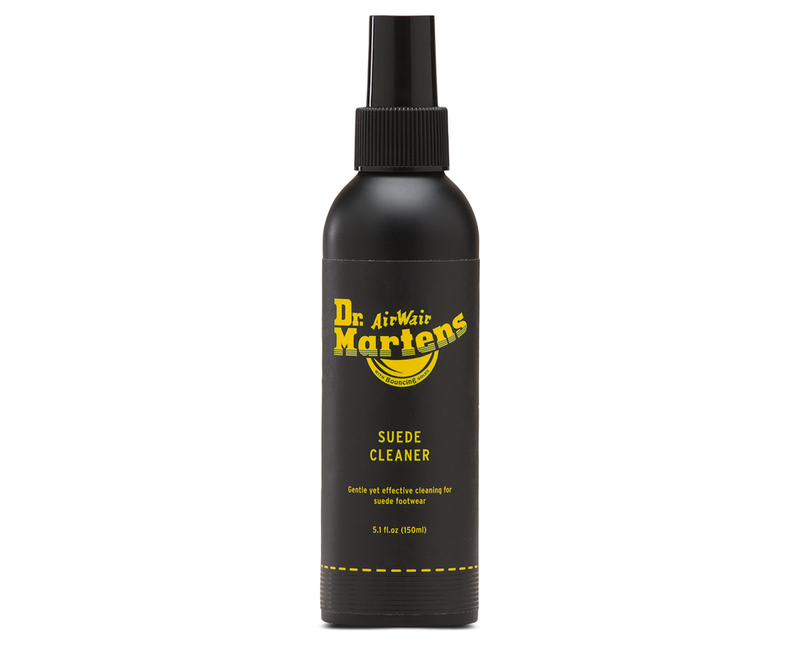 Our Dr. Martens suede cleaner safely and effectively cleans all types of suede footwear. Directions: Spray a small amount of cleaner onto a damp sponge or cloth and gently scrub the entire shoe. Using a sponge or cloth, lightly rinse with clean water to remove excess cleaner. Avoid over-soaking. Allow footwear to dry naturally. Using a suede brush, lightly brush in one direction to raise the nap and restore the appearance.